Vancouver is a diverse, bustling city on the west coast of Canada in the British Columbia province. It's gorgeous because on the one side you have the ocean breeze and on the other side, the city is surrounded by snow capped mountains. Nature is everywhere here. Other things to do in Vancouver's waterfront is to visit the virtual flight ride called FlyOver Canada located in the nearby “Canada Place”. This is a simulation ride on a dragon over China and then over Canada. It's impressive and feels so life like. If like us you're a fan of simulation rides like the ones at Universal in Orlando, Florida, you will love the FlyOver Canada ride. The Capilano Suspension Bridge Park is a large green space, which is separated in two by the Capilano River. In 1889, a 137m (450ft) long suspension bridge was built to connect the two sides. It hangs around 70m (230ft) above ground. Depending on your vertigo level, it's a lot of fun/nerve wracking to cross! On the other side of the suspension bridge is a larger park with 7 smaller suspended footbridges. There are also a handful of cafes and souvenir shops. Another aspect of the Capilano Park, which we loved is the celebration of the First Nations people, including a mini museum information centre by the entrance and several intricately carved Totem poles. Gastown is Vancouver’s most historic neighbourhood, with cobblestone streets and restored Victorian buildings. 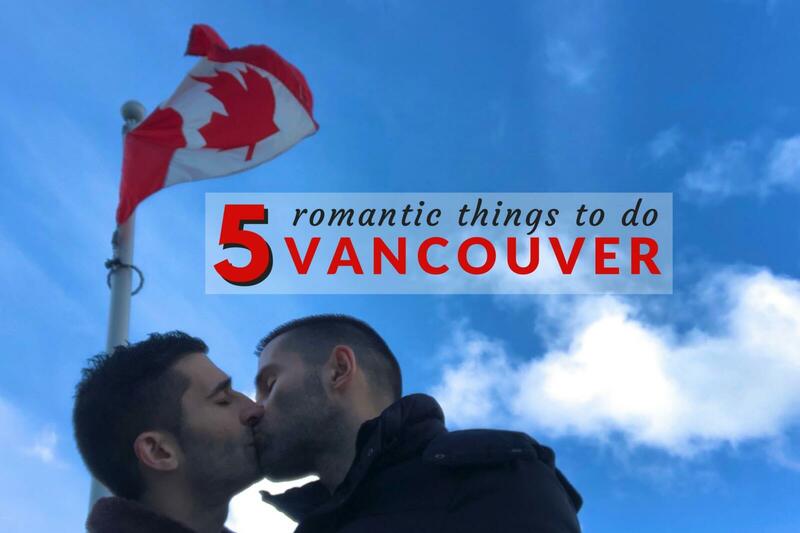 It's one of our favourite things to do in Vancouver because it has several boutique shops as well as a handful of trendy cafes. One of the most famous landmarks in Gastown is the steam clock on the corner of Cambie and Water Street. It is powered by a steam engine and produces a puff of steam from its top every hour. It was built in 1977 to cover a steam grate, to harness the steam and prevent homeless people sleeping on it. Nickelback fans will recognise it as the clock featured on the cover of the 2011 album “Here and Now”. Vancouver's Chinatown is the largest in Canada and the second largest in North America after San Fransisco. The city has the country's largest Chinese population and because of this, Vancouver has been given nicknames like “Hongcouver”. As such the Chinese influence in the city's culture is prevalent everywhere. For example in Italian ice cream shops you can find green tea, lychee and even durian flavours. We love snacking in the different Asian bakeries here, then going face down in one of the dim sum restaurants. Nearby, we recommend checking out the Dr. Sun Yat-Sen Classical Chinese Garden. It is an authentic representation of China’s Ming Dynasty–era garden traditions, with winding covered walkways, beautiful pavilions and even 150 year old miniature trees. It's a very romantic setting as well, great for Instagram. It also makes for the perfect tranquil escape from the busy city life outside. Cycling in Stanley Park is one of our favourite things to do in Vancouver, especially on a clear day. Stanley Park is the large 405-hectare (1,001-acre) public green space at the Northern edge of Downtown Vancouver. It is almost entirely surrounded by waters of Vancouver Harbour and English Bay. Stanley Park is nicknamed The Crown Jewel of Vancouver. It is also frequently rated by travellers as one of the best parks in the world, and in 2014, it was even voted as the #1 park in the world by Tripadvisor. There is a 9km seawall bike path, which you can either walk (2-3 hours), or cycle (1 hour). Much of the park remains as densely forested as it was in the late 1800s, which is part of its charm. It has over 500,000 trees, some of which are hundreds of years old and over 70m (230ft) tall. 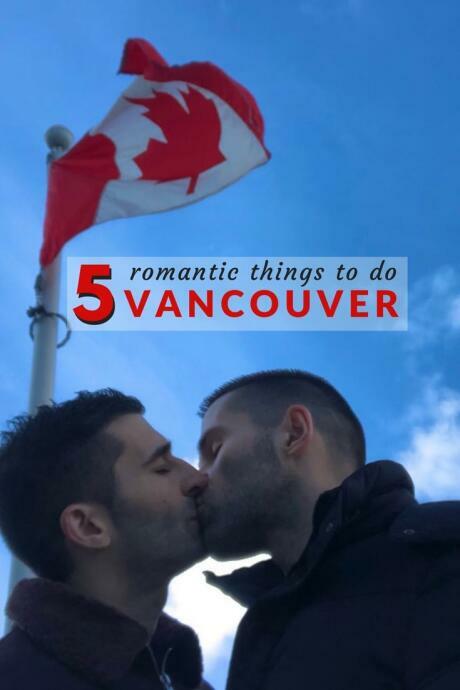 Other romantic spots we recommend seeking out in Stanley Park includes the Rose Garden, the Lovers Walk with two trees embracing, Prospect Point, Third Beach, and The Teahouse restaurant for a romantic dinner. Cool When i went their i had a good time &i know that YOU did too.